Marie-Lais Emond is a writer, food critic, columnist at The Citizen newspaper (check out her Other Side of the City column every Saturday), editor and book producer. She describes her life as "divided between books and food" and is currently working on a beautiful new pictorial book about Robert Sobukwe, a local horse whisperer ("though he hates that term" she adds) and a new food book which she will co-author with a friend. Constantly on the hunt for interesting Joburg places that are "slightly below the radar", she is also "always on the lookout for fascinating new food places to try". We caught up with this busy city explorer to get her take on life in Joburg. What brought you to Joburg and what makes you stay? Work brought me here but excitement keeps me here. I love this continent and, within it, this country. Within that, Gauteng but Johannesburg particularly. Home is... Penny Siopis' old art studio with floor to ceiling windows and double volume space. Melville is, of course, my favourite because I live in it. I chose it because it was the closest thing to Tamboerskloof in Cape Town where I'd lived before. And I'd chosen Tamboerskloof because of all the restaurants close by. Three things a visitor should not leave Joburg without experiencing? The inner city itself, Newtown and Maboneng. That its beauty is in its people from all ends and parts of this continent. The most underrated Joburg sight or experience? 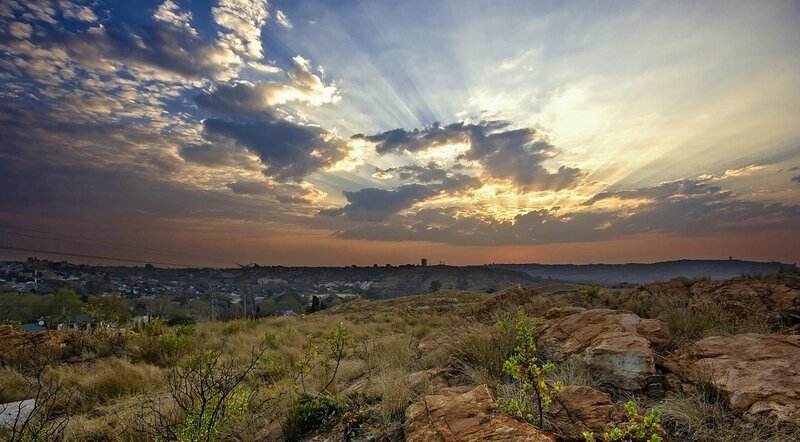 A new year's sunrise between and over the buildings of Johannesburg, as seen from the Melville Koppies. They keep changing but Il Contadino has held that title for a while. Favourite bar or afterwork hangout? The little aloe rooftop garden of Mootee in Melville because it feels just right and the cocktails and bar foods are my ideals for us in Johannesburg at this time. The Organic Emporium in the Bryanston Shopping Centre because everything but everything there is honestly and thoroughly responsible food. No tricks. Where would you recommend for a first date in Joburg? Lucky Bean in Melville because, apart from the fab food and service, it's real and you can talk. On my rather eccentric looking little patio because of the birdsong and next-door's trees that are part of my view. What's the most memorable meal you have eaten in Joburg? There are two and they have both been at Ubanologi. Once with the previous chef, Angelo Scirocco and once with the current chef, Jack Coetzee. On a weekend in Joburg you’ll usually find me…. Having breakfast with a friend or a book at any of the sensational breakfast spots in Melville, Brixton or 44 Stanley. Debbie Logan who runs the Real Food revolution and has the Organic Emporium in Bryanston because she's a fundi. I love people who know lots and I adore people involved with excellent food. 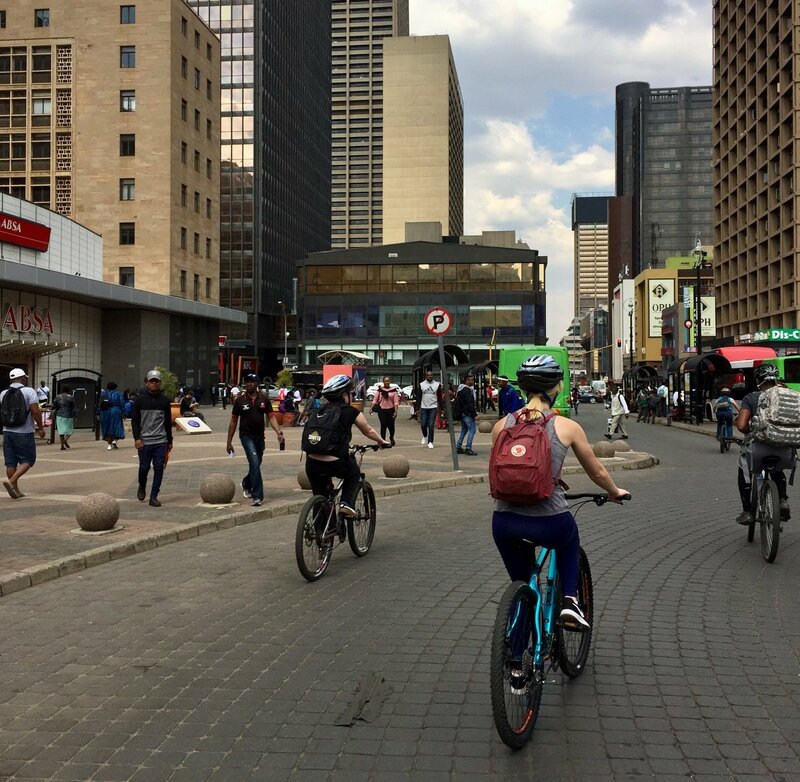 What's happening in Joburg right now that you think everyone should know about? It's been happening for a while. Joburg used to beat all other cities when it came to rooftop places for bars, sunset spots and maybe still does but I realised there are quite a few underground places happening now - and that seems rather coolly relevant. If you could buy any Joburg building which would you buy? I'd buy Corner House in Commissioner Street. 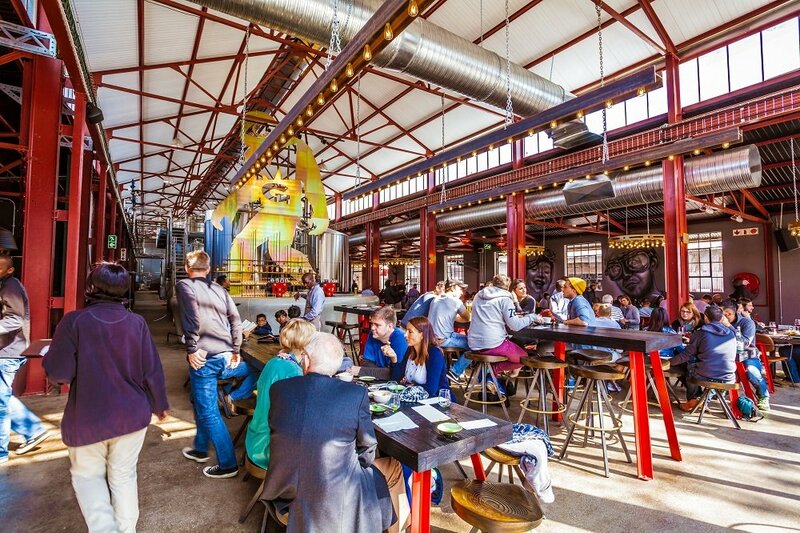 How would you spend your perfect day in Joburg? I had my perfect day a little while ago, cycling the inner city with Kennedy Tembo, drinking interesting and excellent coffees all over the place, stopping to look at current street art. 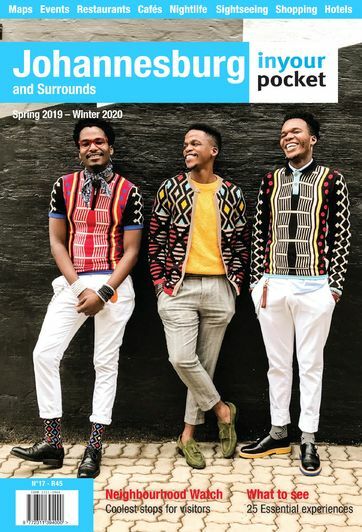 Maybe after that I'd go on to have a peek at the galleries in Braamfontein, drink a cocktail at The Artivist and either see what's happening at The Market Theatre or go to Brixton and visit Sifiso and Ashley at their Roving Bantu Kitchen. 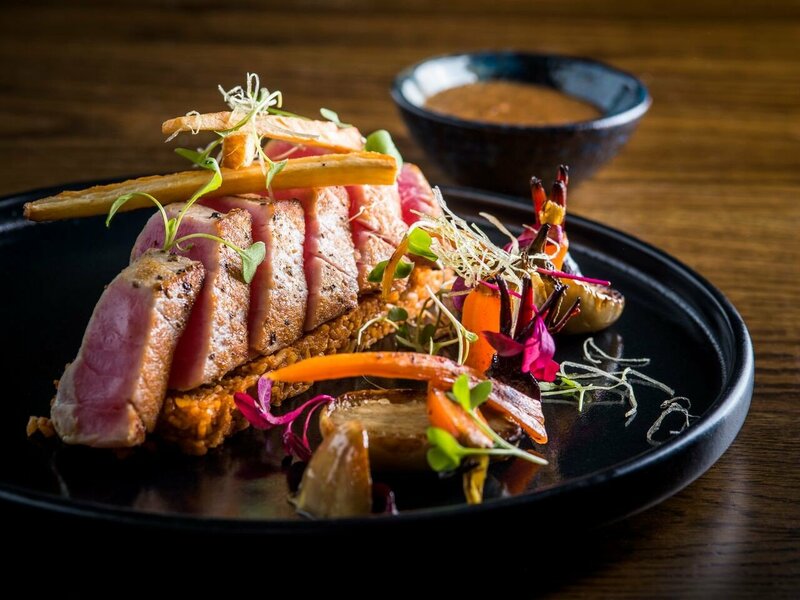 As a food critic you get to visit a lot of exciting new restaurants - what do you think are some of the biggest dining trends that we'll be seeing in Joburg this year? The biggest big trend, apart from passing fads, is using ingredients and foods of our own areas and our own parts of the country. There are great people responsibly growing ancient and very African vegetables, grains etc. Chefs like Coco Reinharz of Epicure are the ones to look to for our 2019 dishes, people who combine these old-traditional ingredients in fresh and marvellous ways. There are more people than we think doing this. For your weekly Other Side of the City column you visit all kinds of cool, unusual and quirky places. What are three of your favourite places that you visited in 2018? 1. The very first house in Johannesburg, a tiny place in Bez Park. People claim so many Randlord places as being the first and it's actually this little unassuming place. Even the blue plaque is wrongly positioned on the place next door (the 3rd oldest house). And it's occupied. 2. The Rahima Moosa Mother and Child Hospital has the most exquisite addition, a lovely tiled cube designed by Lorenzo Nassimbeni, slotted in among the red-brick buildings. What got me fascinated was that you can really only see it from the traffic, like if you were in a taxi and looking that way that moment. 3. Below the Kyalami Country Club were these men and some women doing full mediaeval battle for the fun of it under the heat of the highveld sun. It's surprisingly violent, what with swinging ancient axes and stuff at each other, even though they do this in real armour, which they make themselves. I was just so gobsmacked and felt I'd bumbled in on Tweedledum and Tweedledee. Number one tip for a first-time visitor to Joburg? Ditch the car. What do you love most about Joburg? The palpable excitement, the vibe. What do you least like about Joburg? A current failure of the powers that be to look after the infrastructure of our actual city. Three words that describe this city: Bold, out-there and addictive. What makes someone a Joburger? That insane hunger to know more and dig beneath every surface of this ever-intriguing city. If you didn’t live in Joburg where would you like to live? Vilankulo in Mozambique. 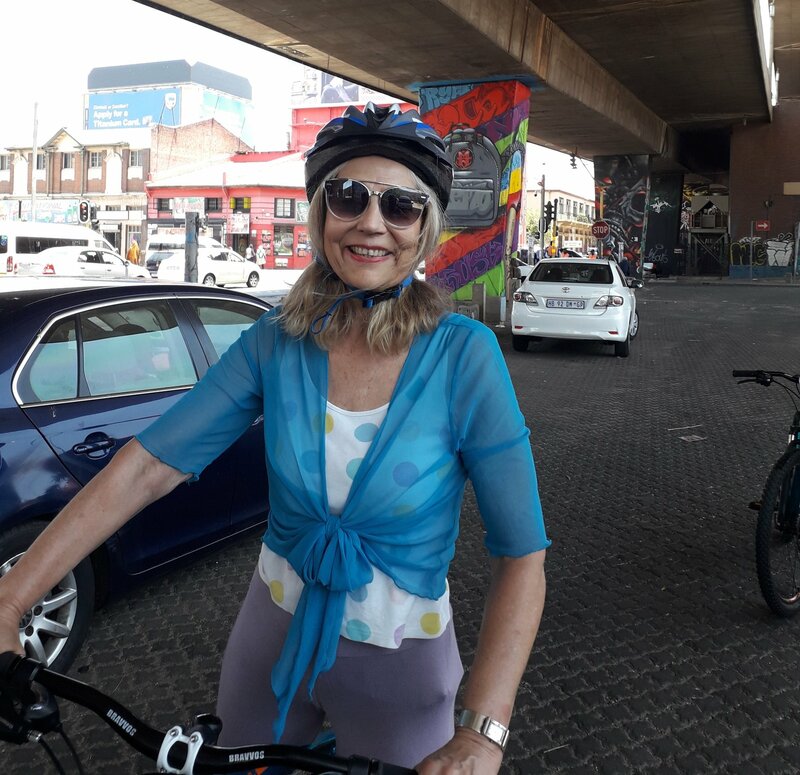 Follow Marie-Lais's adventures across Joburg in her weekly Other Side of the City column every Saturday in The Citizen.